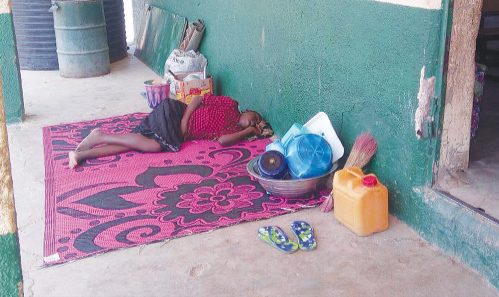 Hunger and starvation are imminent in Jalingo, Taraba State, and its surrounding communities. With cases of Fulani herdsmen sacking communities and maiming farmers, the only future that holds after the present tragedy is hunger. Experts estimate that tones of stored produce have been destroyed in the wake of the exploits of herdsmen on these communities, adding that whatever is left has been grazed by their hungry cows. Investigations reveal that stretches of farms in different Taraba communities are lying abandoned and fallow, even as the rainy season enters its crucial stage. These lands, beautifully dressed with lushes of green vegetation in previous farming seasons, are left uncultivated as bushes. As if it is not bad enough, many farmers in these communities have been dislodged from their homes. 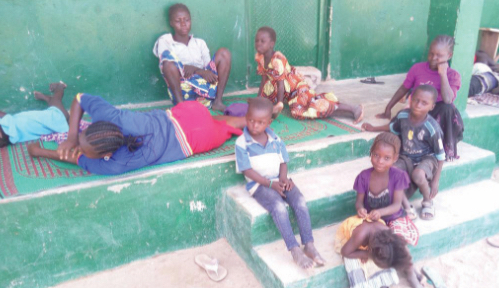 They are now lodgers in different Internally Displaced Persons (IDP) camps. Inundated with sad tales of insecurity, blood and deaths occasioned by reoccurring attacks, they are not in hurry to return to their ancestral homes. The fate of Mr. Yakubu Bulus is a mirror of the new but trying times. Only a year ago, he was a rich farmer. He had harvested over 500 bags of rice, about 300 bags of maize and over 1000 tubers of yams and lots more from his farms in the last planting season and reserved most of them for the prices to pick. Unfortunately, when herdsmen launched an attack on his community in Lau Local Government, he was one of their prime targets. He was lucky to escape, but he lost his home and stored harvest. He told Daily Sun that he had planned to sell his harvest and consequently purchase some mini tractors and other farm equipment that would that cultivate larger hectares with less stress, but regretted that he would no longer afford those dreams: “I still cannot believe that I lost everything and barely escaped with my life. All my life’s efforts went up in flames in the hands of these heartless people for no just reason. Bulus is not the only farmer-victim of this brutal fate. Twenty-five-year-old Michael Iliya has the same horrible experience to share. He lost his father, home and all their belongings to the invasion in Lau village a few months ago. He has assumed the position of his father as the new breadwinner to his four siblings at the IDP camp. With tears, he told his pathetic story: “Before they attacked our village, we used to work on our farm and it was our only source of income. We are farmers and that is all we do. Last year, we bought two motorcycles that we gave out for Okada. We wanted to buy some more machines so that we can be raising money to help us work more. Unfortunately, before we could sell them, they came and killed my father and destroyed everything we had. “Now my father is no more, we no longer have a home, we don’t have a farm, we don’t have money. I have to take care of my four siblings all by myself and if we try to go and work on our farms, they still come and attack us. This is July and we have not planted anything yet. For Mrs. Lista Thomas, the only thing about the future that is clear is hunger and starvation. Like most other victims of the attacks, she lost everything, including her harvest. She is certain that going back to farm in the light of the dismal state of security in their community is a forgone alternative: “Since my husband died more than 10 years ago, farming is our only means of livelihood. It is from the farm that I send my children to school, feed them, pay their medical bills, cloth them, and take care of all our needs. “I barely touched our harvest, last year because we were waiting for the prices to pick up, only for the herdsmen to come and destroyed everything. Now, we don’t have anything. We depend on the goodwill of others to even feed. Persistent attacks on farmers since 2013 by herdsmen led to the deaths of over 3000 persons and displacement of over 100,000 persons, most of them farmers. Taraba State is a purely agrarian with more than 90 percent of the population involved in farming and over 85 percent surviving entirely on farming. With a landmass of over 54,473 km square, it is the third largest state in the country. It boasts of diverse climatic conditions that support the cultivation of the widest range of crops in a single state. The state also has the highest concentration of cows in the country and a rich wildlife from the Gashaka Gumpti National Park as well as great tourist attractions. At the onset of the rainy season, government distributed fertilizers, farm inputs and improved seedlings to farmers. But most of these would not be deployed in the farms since the people who are to cultivate the farms are either displaced from their communities or are too scared to venture to their farms for fear of attacks by herdsmen. Taraba people should get ready to stop the killings in their state by voting against buhari in 2019. He is tacitly supporting his fulani herdsmen to kill.